What created these dramatic headlines? A simple law known as Sara 313, or the Superfunds Amendments and Reauthorization act. 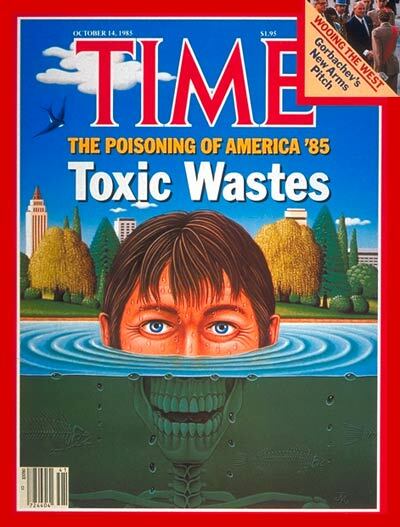 Tim Mohin, an author of the law, writes in The Guardian about how the required reporting mechanism asking companies to simply tell how much they released certain toxic substances and release that information to the public created a media frenzy. The key was that the information was concise, comparable, and addressed a specific issue. You could get your hands around how much mercury a company was releasing every year and think: how is that happening in my back yard?!? While transparency can drive comparison – and action – too much transparency can, ironically, work against the end goal of improving performance. Today’s sustainability ratings address factors ranging from environmental emissions to the diversity of the workforce to the compensation of the CEO. These myriad measurements, summed up under the umbrella of “environmental, social and governance” (ESG) metrics, are rarely presented in a way that enables easy comparison between companies. In essence, when we measure too much, we can lose the signal in the noise. One good example of this is the Global Reporting Initiative, which advertises as the de-facto global standard for corporate sustainability reporting. It encompasses about 90 “key” performance indicators, which require companies to gather together reams of information. To put this in context, the 2014 survey for the Dow Jones Sustainability Index was 129 pages long! Not only are these reports a lot of work, but their complexity makes them inaccessible to most people. He then goes on to cite the organic food movements culmination in the USDA Nutrition Label as a good way forward. And that may be correct, maybe we do need a nutrition label for sustainability products as I wrote about earlier this year. But perhaps part of the issue is that sustainability is so broad, so all-encompasing, that we need a series of more focused approaches to deal with different issues. In this way, sustainability reporting will always be 100+ pages when you are truly engaging the issue… but again, it circles back to whether or not these reports have the impact and ability to change companies. What do you think readers? Is sustainability reporting the way forward or are we diluting issues and only serving up another distraction in the form of green washing? Green Shirts: How Sustainable is ‘Made in the USA’? Clothing Facts – Should this be on all clothes? Triple Pundit put together a great series of articles on the sustainability of the fashion industry. With thoughts of Memorial Day, I took a look at the article asking a simple question: Is made in the USA always the most sustainable choice? Chemicals that are used to bleach and dye textiles are often toxic. Discarded clothing fills up landfills. Americans generate 12.4 million tons of textile waste annually. That means that, on average, every American throws out roughly the equivalent of their own body weight in clothing every year. Textile machinery causes noise, sound and air pollution. Over-usage of natural resources like plants and water depletes or disturbs ecological balance. Most of this usage is in the agricultural phase, with lesser amounts in the production phase and consumption phase for laundering. These concerns can occur anywhere, though some countries have stronger environmental regulations than others. Now, by default garments made in the USA must adhere to EPA and local standards regarding waste water as well as labor laws, but this does not mean they have to go organic or have the smallest carbon footprint of anything available on the shelf. 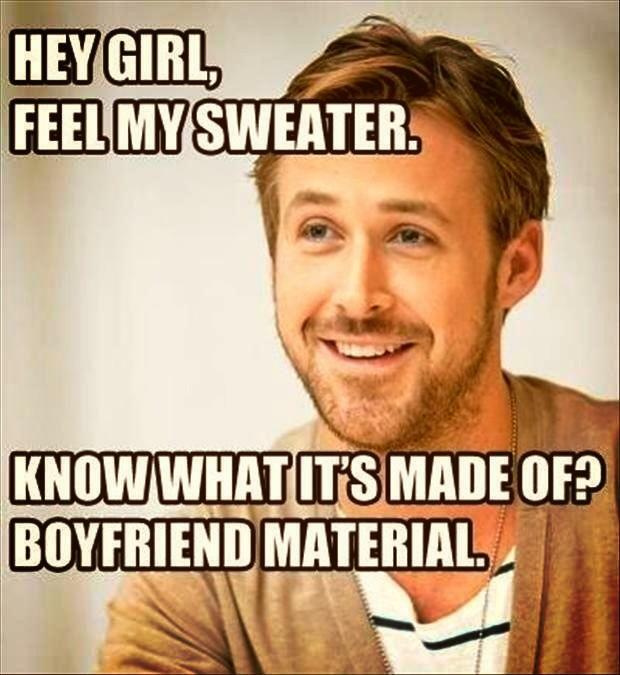 One of the questions we have to ask when buying any clothing is – what is it made of? This is where the Triple Pundit article begins to struggle with what the best choices are for the sustainability minded consumer as it begins to delve into the economic consequences of outsourcing manufacturing due to lowered labor costs and how that in turn reduces the power of american consumers to buy made in the USA products as they have higher labor costs and thus higher prices. A vicious cycle indeed. While articles made in the USA carry less of a carbon footprint in terms of miles traveled, and support our economy locally by paying higher (not necessarily living) wages, these are just some of the many factors to be considered when shopping with sustainability in mind. This is well demonstrated in the OneGreenPlanet guide for those of us looking to wear green, and it considers many of the ‘other’ factors outside of location of creation. But how about you readers – how much do you consider sustainability when buying clothes? is it all about looks or does your beauty sense go deeper than what covers your skin? Know of any other resources on where one can shop for green clothes? 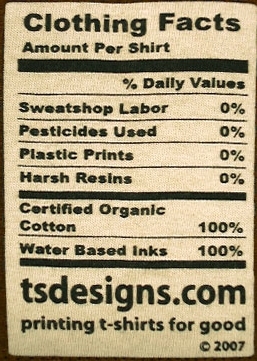 Do you have any clothing that you consider green or fair trade? Going green often starts with what you eat: fair trade tea, organic apples. We buy these products because they reduce impacts on people and planet. But when we go to the Pharmacy to pick up our needed medicines, we often remain uninformed of these issues. Who ever heard of organic Lipitor? Though the pharmaceutical industry takes great strides to ensure a reliable and safe supply chain as demanded by FDA safety regulations, a lack of awareness of the environmental impacts of the pharmaceutical supply chain led to an atmosphere which made the Heparin Incident possible. People died as a result. Andrew was able to draw on his diverse experience of work both internationally and in the investor community in order to further services at BSR. Having worked in a variety of prior roles including a corporate strategy startup in DC where “we helped fortune 500 companies understand the political and economic environments of BRIC countries” and a year teaching English in Malayasia, Andrew has a unique and distinctive perspective on the challenges facing the pharmaceutical industry. His overall trajectory towards corporate social responsibility (CSR) started in college. While researching business ethics he learned “how the private sector was doing a lot to further Millennium Development Goals and was often making a bigger impact, a more measurable impact than non-profits – which was where I was working at the time.” He finds his work at BSR satisfying and empowering as “its really a great marriage of development and private sector financial sector thinking – applying commercial solutions to social problems.” Currently, his work focuses both on healthcare and medical device industry initiatives in addition to PSCI. As the PSCI eloquently shows, sustainability and collaboration can go hand in hand. Through sharing information, the industry is able to move forward together. While PSCI shares some information publicly, it is hoped that through further transparency and embracing the principles of open source, the entire field of pharmaceutical manufacturing can benefit from the breakthroughs of these leading companies. Human enterprise, whether it be business, government or science has evolved in the direction of super-specialization since the dawn of agriculture and permanent human settlements. Super-specialists provide essential expertise in their individual arenas, however the challenge of sustainability as a profession lies in its ability to see the connections across traditional disciplines and understand the environmental impacts of human activities at all levels. 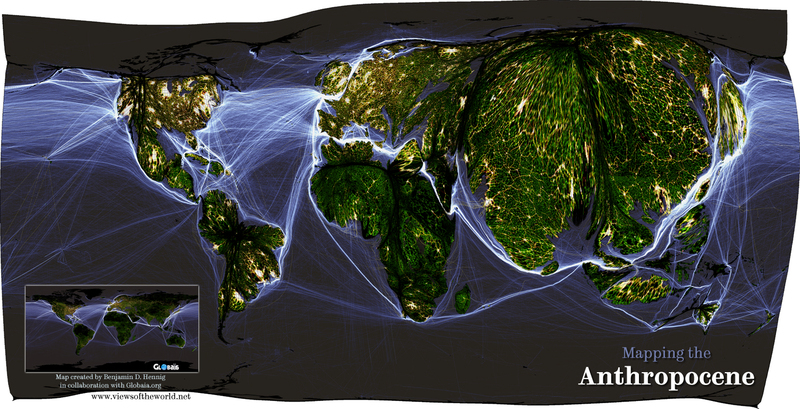 The scale of human activity today is unique in history for its pace and breadth. It is widely recognized that we are in the midst of the sixth mass extinction in earth’s history (http://bit.ly/gB4HMA), and our impacts are so great that geologists debate whether we have left the Holocene to enter the Antrhopocene (http://bit.ly/bInWHX, http://econ.st/lTNR4c – see video at bottom). In this period of global transition, for the first time sentient life can influence the direction of change. To do so, we must rely upon our ability to understand the scale of our impacts, from the international level down to the individual. We are literally floating in a sea of data. Multinational scientific reports, such as the Millennium Ecosystem Assessment, are examples of science using the power of distributed scholarly expertise in a collaborative manner to analyze the plethora of data on how humans are impacting the environment. One of the challenges and opportunities for Sustainability Professionals will be the ability to harness existing datasets through the power of analytics and informatics. Given our multi-disciplinary nature, Sustainability Professionals are ideally situated to understand, monitor, measure and manage our impacts as a species at all scales of social organization, from multinational corporations using the Global Reporting Initiative’s Guidelines, to individuals using a smartphone apps to measure their carbon footprint. The analysis of already existing datasets, together with strategic augmentation in monitoring, will allow us to realize the goals of the World Business Council for Sustainable Development to price externalities of our current economic activity, starting with carbon and then expanding to biodiversity and ecosystem services. The OECD Environmental Outlook 2050 also called for an improvement in our knowledge base for sustainability decision making. They gave examples of hydrological monitoring networks, data/indicators for biodiversity, and greater studies into the human/natural physiological impacts of chemical products. The Exposome ( http://1.usa.gov/JrSBhD) is one example of how we can use these new datasets and analytical tools to understand human-environment interactions. To promote Sustainability, either at home, work, or in your networks, one must first collect and analyze any available data regarding current environmental impacts. This can seem to be a daunting task, but breaking down our impacts into categories, such as food consumption, energy, water use, transportation etc., can make things more manageable – and there are many available toolsets to measure these impacts. Every day we vote with our dollars, on transportation, food, energy and communications, by being conscientious of our collective purchasing power we can drive sustainable change. Mendes was an obvious target. As well as lobbying successfully to end international financing for Amazon clearance, he organised the rubber tappers in non-violent resistance. Men, women and children would form human barricades known as “empates” to prevent the bulldozers from tearing down trees. His success made him many enemies and he knew he was a marked man. His killer was from a family of cattle ranchers, whose efforts to expand their pastures was held up by the empates. Darcy Alves, 22, and his father Darly were convicted in 1990 and jailed for 19 years. Although they are now free, former associates of Mendes said the assassination backfired. “Those who killed Chico got it wrong. They thought by killing him, the tappers’ movement would be demobilised, but they made him immortal. His ideas still have a huge influence,” said Gomercindo Rodriquez, who came to Xapuri as a young agronomist in 1986, and later became Mendes’s trusted adviser. Mendes wanted the forest to be used sustainably rather than cut off from economic activity (as some environmentalists wanted) or cut down (as the farmers wanted). He proposed the establishment of extractive reserves for tappers, Brazil nut collectors and others who harvested nature in a balanced way. After his death the first of many such reserves in Brazil, the Chico Mendes Extractive Reserve, was created, covering 1m hectares of forest around Xapuri. A day to remember and reflect on those who fight for the voiceless forest and her downtrodden people. Read more at The Guardian. “Cambodia is just like China was 20 years ago. It’s on the verge of a big expansion,” says Fung, a 40-year veteran of the business who may open more factories outside Phnom Penh…“In Cambodia, people are happy to have a job,” says Fung. “But in China we keep losing workers. Whether we like it or not, we will be moving out.”… The countries [Cambodia, Vietnam, Bangladesh, Indosnesia] all have young people willing to work for less. In Cambodia, that means $76 for a 60-hour workweek. Chinese workers get from $280 in Jiangxi province to $460 in Shenzhen. That’s take-home pay in his factory for 48 hours work, including overtime, says Fung. While in 2010, China produced 43.6 percent of rich countries’ apparel imports, that number shrank to 36.8 percent in the first half of last year, estimates Clothesource. The stronger yuan, stricter enforcement of environmental rules, and rising wages are pushing production out. The majority of the country’s garment factories — making clothes for brand names in the U.S. and European markets — use firewood to heat old-fashioned boilers that produce hot water for dying fabrics and steam for ironing. Some factories depend on firewood to supply all of their energy needs, according to industry experts. Indeed, the use of firewood for energy is widely considered better for the environment than fossil fuels, as trees can be replanted to offset carbon emissions released during combustion. But replanting plans are limited here, while demand for firewood is growing. 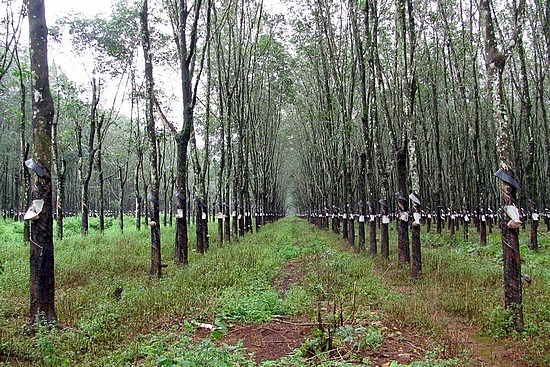 In the 1990s, large areas of Cambodia’s rubber plantations — planted by the French in the early 20th century — had aged to the point where their yields of latex, the sap from which natural rubber is made, had dropped considerably, requiring extensive replanting. Felling old trees made large quantities of rubber wood available to the emerging garment and brick factories in the Phnom Penh region. But, according to a report released last year by the French environmental organization Geres, this source of timber is running out. The Geres report found that 69 of the 310 garment factories then registered with the manufacturers’ association said they were using rubber wood to produce steam for ironing and dyeing clothes. In total, Geres estimated that garment factories burned around 65,000 cubic meters, or about 2.3 million cubic feet, of wood every month. But a “critical period” started in 2009, the report said, “where rubber wood will not be available in sufficient quantity to supply the industrial sector its energy requirements.” Energy experts and environmentalists say that timber is now being obtained instead from the country’s remaining natural-growth forests. And according to several economic analysts and consultants here, who declined to be named because of the delicacy of the issue, it is not in the interests of manufacturers to show they can afford to install environmentally friendly technologies, because their brand-name clients may respond by putting pressure on them to lower their costs. Or is the nature of the garment industry incompatible with environmental protections and living wages? Are we at the end of cheap clothes? What do you think? Kurt Vonnegut’s vision of the Chronosynchlastic Infidibulum has come true, except instead of our bodies being dispersed across interstellar space, it is our everyday products that are dispersed over space and time across the globe. Networks of suppliers are mirrored by social networks with information flowing (relatively) freely to anyone with a wifi connection… and informed consumers are now scrutinizing their purchases to a greater degree than ever before. The rise of the Corporate Social Responsibility (CSR) movement fueled an expectation of transparency amongst the multi-nationals that operate from a nominal home base but only truly coalesce as a product in your living room, or in this case a consulting report for building a dam. But the MRC has split between Laos and Thailand, which support the dam (Thailand is providing all the funding and will purchase 95% of the power generated), and Cambodia and Vietnam, which view dams on the Mekong as a cumulative threat to agriculture, fisheries and livelihoods. Scientists warn that a cascade of dams threaten food security along the Mekong for around 65 million people. The prime minsters of both Cambodia and Vietnam have demanded further scientific studies on downriver impacts to be carried out prior to any construction, but supported by Pöyry’s recommendations, Laos has ignored its Indochina neighbors. In response, fourteen Finnish NGOs filed a landmark case against Pöyry, alleging that it had violated OECD rules. Finland was obliged to set up a Corporate Social Responsibility Committee in 2012, to hear the complaint against parent firm Pöyry PLC, the parent company in Helsinki. As the largest donor to the MRC, Finland has a special interest in the Xayaburi controversy. All development partners of the MRC have expressed deep concerns about the environmental impacts of Xayaburi, the first dam to be built on the Lower Mekong. The Finnish NGOs have accused the international consultant Pöyry of promoting a reckless and irresponsible mode of development, and undermining international cooperation among the riparian countries through the Mekong River Commission. Pöyry has since announced that it has won a new eight-year contract to supervise construction of the Xayaburi dam. Poyry’s work on the Xayaburi was not the first time the company was involved with the Mekong. In the 1990’s, Vietnam hired Swiss consultant Electrowatt (now part of Poyry) to build a controversial set of dams on a tributary to the Mekong in Vietnam, despite the protests of Cambodia. Like the situation in Xayaburi, Electrowatt’s analysis did not include any downstream impacts from the dam construction. The case of the Yali Dam set a precedent for ignoring regional neighbors, and it appears Laos took note of a compliant consultant to hire. OECD guidelines stipulate that “Enterprises should contribute to economic, environmental and social progress with a view to achieving sustainable development”. Poyry’s role in shepherding along approval of the dam in Laos and its subsequent multi-million dollar contract to oversee construction, present an affront to the OECD guidelines, not to mention a conflict of interest. The final statement confirms that consulting and business service companies such as Pöyry are covered by the Guidelines and have a responsibility to conduct due diligence to avoid being linked to adverse social and environmental impacts caused by their clients. However, the NCP determined that Pöyry had not acted in breach of the Guidelines in this case. Finnwatch, an NGO advising the NCP, issued a statement disputing this finding. The case, which was the first ever handled by the Finnish NCP, raises serious concerns about the NCPs equitability. The NCP gave in to Pöyrys demands for an excessive degree of confidentiality and did not allow the complainants to see or rebut to the companys response to the allegations. The NCP based part of its final statement on Pöyrys confidential response, which was never shared with the complainants a practice that has been deemed unacceptable by other NCPs. Recall that a similar lack of equitability led the UK NCPs Steering Board to overturn its own flawed final statement in the BP BTC case in 2011. Regardless of the ultimate result, the case presents an example of the maturing of the CSR field from a series of well-(or not)-intentioned yet unverified reports of corporate progress to a verifiable and accountable set of policies and actions taken by corporations with true legal and economic consequences. Though it was the first case heard by the Finnish government regarding OECD CSR guidelines, it will certainly not be the last, and that type of precedent is one other stakeholders can utilize to address social and environmental concerns. When it comes to intractable trans-boundary natural resource problems, which the Mekong is a prime example of, the more stakeholders with a voice at the table the better the outcomes can be. Consultants and coprorations operating in the developing world would do well to consider the full sustainability impacts of their operations lest they find themselves in greater legal risk from newly emerging models of regulation in regards to CSR. What do you think? Are new legal mechanisms for CSR compliance (e.g. OECD Guidelines) an effective means to enforce good corporate governance? Or do they need more teeth to make an impact? Feel free to share thought and any similar examples. Though Americans may not often think about it, the U.S. is increasingly and inextricably linked to the Mekong Region through global supply chains. For instance, about 15% of the seafood we consume in the United States comes from Mekong region countries, arriving on our shores and in our stores after a long and circuitous journey. Consider tuna, which may be caught in the South Pacific, transported to New Zealand for pre-canning, and shipped to Southeast Asia for canning before it finally makes its way to the East Coast of the United States for distribution in this country. Why does this matter to FDA? There is a greater likelihood that food will be exposed to pathogens, contaminants or chemical hazards during a journey of this complexity. That’s why we work closely with our regional counterparts in these countries through such organizations as the Association of Southeast Asian Nations (ASEAN) and the Asia Pacific Economic Cooperation (APEC), sharing with them our own regulatory requirements, our knowledge of good manufacturing practices and our laboratory and inspection techniques. Through such information sharing we believe we can prevent tainted or otherwise unsafe foods from reaching our borders. But the risk of potentially unsafe food from this area is not our only concern. A significant threat to human safety today involves substandard, falsified and counterfeit medical products that are part of the global supply chain. These products may contain toxic ingredients, or too much or too little of a drug’s active ingredient, and as a result patients could be poisoned or unwittingly receive inadequate treatment for their disease or even no treatment at all. In addition, if too many patients receive only partial treatment, it might foster the development of drug-resistant disease strains. And there’s this too: a high prevalence of substandard and falsified medicines ultimately will erode public trust in the health care system. With the recent change in guidelines from the AHA and ACC, as many as 70 million Americans may end up taking Statins to reduce their chance of heart attack and stroke. Already, Lipitor (atorvastatin) was the greatest selling medication of modern times with over 40 million Americans taking the drug at its peak. At an average of 20 mg per pill, this resulted in over 292 metric tons of lipitor produced per year*. Despite this large scale, few outside of the Green Chemistry field are aware of the myriad of environmental impacts from the supply chains used to produce Lipitor. Creating Lipitor requires a complex series of chemical reactions. Along the way, various different solvents, raw materials and catalysts are needed to finally create the active pharmacological ingredient that can reduce cholesterol in humans. Acetonitrile is one solvent used in the synthesis of Lipitor. Acetontirile is produced from the catalytic ammoxidation of propylene. Propylene (aka propene) is itself derived from fossil fuels, namely natural gas and coal. The industrially produced ammonia used in the process comes from Natural Gas. Aside from the odd fact that your cholesterol is lowered at least in part thanks to fossil fuels, there is also the case of the Beijing Olympics. Beijing’s notorious air pollution was under the microscope prior to the 2008 Olympic Games. The Chinese authorities instituted a number of measures, such as shutting down factories near the city and reducing car use, to clean up the air. Some of these factories were producers of Acetonitrile. Those closures, combined with the shutdown of Texan facilities impacted by Hurricane Ike, resulted in a global shortage of Acetonitrile. The shortage of Acetonitrile resulted in a price spike, directly impacting the bottom line of all those that use the solvent, including pharmaceutical companies. On the flip side of these petrochemical derived substances is a potential opening for renewable supplies and green chemistry. Ammonia, which accounts for over 1% of total global energy use, is possible to derive from renewable electricity when using Hydrogen derived by hydrolysis (see Iceland). Propylene is also a target of green chemistry with some companies using microbes to synthesize the needed compound rather than relying on natural gas or coal. But back to Big Pharma. Supply chain accountability starts at the bench: each solvent, catlalyst and substrate has its own set of sources and associated impacts. Following the principles of Green Chemistry keeps the focus in the right direction, but a broader view is needed in the industry to ensure that price spikes such as the Acetonitrile incident don’t happen again. If Acentonitrile came from sustainable sources, or if a green alternative was found, Pharma companies could have used their engagement with the manufacturers to not only show their commitment to the environment but also ensure a reliable source of solvent with less potential liability from the downstream health effects of their suppliers. And that’s a strategy that works for the triple bottom line. *Unofficial back of the envelope calculations figuring 20mg avg statin pill API * 1 dose per day * 40,000,000 patients * 365 days/yr = 292,000,000,0000 mg or 292 metric tonnes.